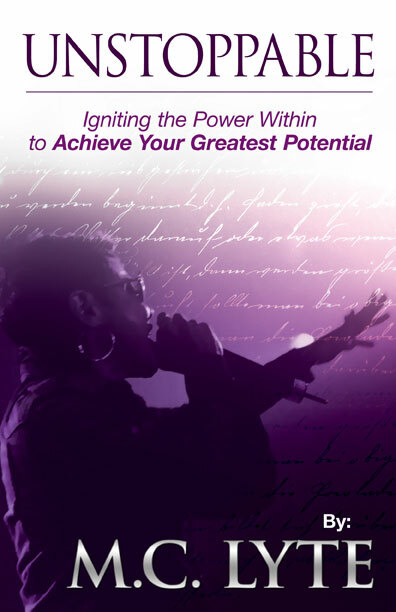 MC Lyte is a highly sought-after speaker who has over 25 years of experience and wisdom and who delivers her inspirational messages to audiences of all ages and backgrounds. MC Lyte’s message of empowerment to men, women, boys, and girls serves as a life-altering agent for change as she seeks to help women and girls redefine their essence through unity, empowerment and truth. Her message is old-school and new-school, young and old, funny and real; she’s smart as a whip; the girl next door; your big sister one moment and your little sister the next; mentor and friend . 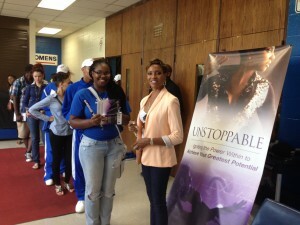 . . MC Lyte is “Unstoppable” and her messaage inspires others to achieve their greatest potential. MC Lyte’s past audiences and clients, too many to list here, include Fortune 100 companies, international corporations, non-profit organizations, entertainment groups and clubs, elementary and secondary schools, colleges and universities, entertainment agencies and training organizations, and professional conferences and conventions around the globe. Click here or click “Get Lyte Now” on the menu tab above for more information and/or to inquire about booking MC Lyte to speak, host, perform or provide a combination of services at your next event.